This week’s 205 Live kicks off with General Manager, Drake Maverick, praising the Cruiserweight Championship Match from last week, and Cedric Alexander’s successful title defense. Alexander has already asked for new competition, which Maverick will address later tonight. 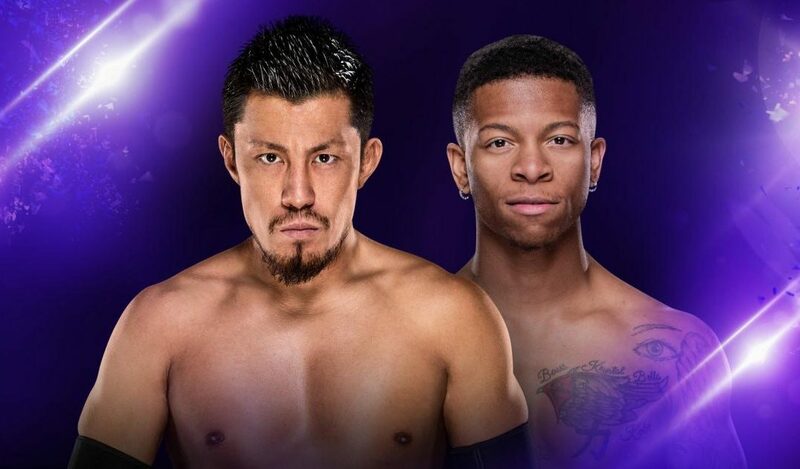 Also, the main event will see Lio Rush square off against Akira Tozawa. The opening match will see TJP seek revenge against Noam Dar, who overwhelmed TJP on his way to victory in just thirty seconds two weeks ago. TJP blamed this loss on a lack of time to prepare but doesn’t have this excuse tonight, having a full seven days notice. 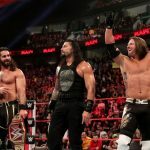 With these two matches, we may be getting a respite from the ongoing multi-man tag matches, as well as the frequent battles in the fringes of the Championship scene. This is a nice little breather which showcases the variety of stories 205 Live has to offer. Vic Joseph is joined as ever by Nigel McGuinness and Percy Watson on commentary. TJP makes his way to the ring and addresses the WWE Universe as his music plays. TJP belittles the “graciousness” of Maverick, who announced his opponent a week in advance. He continues by thanking Maverick for giving him the “curtain jerker” match. After some bashing of the audience and it’s town, Noam Dar heads down the ramp. TJP echoes the sudden start of the two men’s previous encounter with his own attack attempt this time, but Dar is unfazed and ready, taking TJP out and almost ends this match in identical fashion, but TJP’s paranoia serves him well. His grappling prowess begins to take hold as he has Dar grounded, but the Scot is once again on par as far as match tactics are concerned, with TJP scrambling for the ropes to avoid a submission. TJP begins to dominate Dar with some smash-mouth style brawling, dotted with a Northern Lights suplex and a modified armbar. He then begins a variety of holds, pushing Dar’s body to the limit. Dar would do well to avoid TJP’s submission wrestling; it’s only a matter of time before he homes in on Dar’s surgically repaired knee. The frantic fight for survival sees Dar lash out with kicks to TJP’s legs. The tactic is working so far, however, in between pin attempts, he worryingly cradles his legs. Despite this, Dar is able to dodge a significant amount of TJP’s signature offense. On the apron, TJP sweeps Dar’s leg out from underneath him. This proves too much for Dar as TJP throws his weight around, metaphorically and literally, seeing victory in his sights. TJP locks in his inverted kneebar finisher for the win. TJP doesn’t immediately let go, however, doing untold damage to Dar’s knee. TJP may have an infuriatingly whiny demeanor, but he can be the most dangerous cruiserweight on the roster when he wants to be. If he dropped the petulance and disrespect shown towards Maverick, TJP could be a genuine threat to the Cruiserweight Championship scene. After highlights of last week’s title match between Cedric Alexander and Hideo Itami, Lio Rush is warming up backstage, showcasing the speed with which he is synonymous. He has a smug smile on his face throughout, of course. Mustafa Ali is in a pre-recorded video package next, discussing the challenges he faces regularly on 205 Live, and how his overcoming the odds in these challenges means he will be the next Cruiserweight Champion. Gulak wastes no time whatsoever in destroying his opponent for the evening. A vicious clothesline, a backdrop driver, and an unbelievably torqued Gulock dragon sleeper finishes Garcia in seconds. Gulak is joined in the ring to celebrate by his cohorts, Jack Gallagher and Brian Kendrick. Gulak takes a microphone and says that the WWE Audience has been subjected to two years of unworthy champions. But not anymore. Gulak says we will now have the champion we need: him. Gulak says that Garcia reminds him of Cedric Alexander, in that when he steps to Gulak, he will tap out. I’ve been critical of these local talent “squash” matches in the past, but Gulak’s message is crystal clear here. A championship opportunity for Gulak is long overdue. He has been one of the MVPs of 205 Live since its inception and deserves to be in the spotlight for all his hard work. Vic Joseph directs us to scenes from the match last week between Tony Nese and Kalisto, and how it broke down after Buddy Murphy attacked Kalisto at ringside in support of Nese. Dasha Fuentes is backstage with Murphy and Nese. Murphy says he doesn’t regret his actions. Nese says he’ll finish what he started with Kalisto next week, but without any of their partners at ringside. Akira Tozawa is seen warming up backstage in preparation for his match, which is up next. The battle to “one-up” each other over recent weeks sees Rush and Tozawa tentatively look for an opening. Tozawa has his game face on as they dance round each other, but Rush has a cockiness which pays off. The match quickly breaks down with Rush sprinting around the ring, dodging all of Tozawa’s advances. Tozawa finally gets his hands on Rush, and after some well-placed punts and sentons, mocks Rush by imitating his own taunts. Rush reacts with an uncharacteristic anger, attacking Tozawa with a springboard assisted kick, knocking Tozawa off the apron. Rush slows the match down with some carefully aimed kicks to Tozawa’s head and upper body. Tozawa tries to gain an “in” to the match, but Rush repeatedly halts any attempts, finally taking down Tozawa in a chin lock. They both exchanged labored forearms and chops; the speed of the match’s early proceedings seemingly taking their toll. Adrenaline kicks in after Rush disrespectfully slaps Tozawa however, who lands some signature offense, including his suicide dive headbutt, followed up by a near-fall. Rush lands another slap on Tozawa’s face but receives a snap German suplex for his troubles. Tozawa looks for his top rope senton, but Rush rolls out of the ring. Rush’s fightback continues as he dropkicks Tozawa’s feet from the turnbuckle in another attempted top rope move. Rush capitalizes with a massive Frog Splash, pinning Tozawa for the one…two…three. This was the first time we had a proper look at Rush in this approximately ten minute match. His speed and agility is definitely a strategy which could get him far on 205 Live. Tozawa’s stock falls further, however. He is a fan favorite, but his ascent of the turnbuckle is frequently followed by failure, and I wonder how patient his fanbase will be in the future. It may be time for Tozawa to reassess his own game plan. Maverick is watching the match backstage and is then approached by Cedric Alexander. Maverick says he has thought about who should face Alexander for the Cruiserweight Championship next. Maverick announces Drew Gulak vs Hideo Itami vs TJP vs Mustafa Ali in a Fatal Four Way match to determine the number one contender for Alexander’s title. Quite the clash of styles in those four men. The match should be a blast! What did you think of 205 Live this week? Feel free to drop your comments here or wherever you read this on social media. 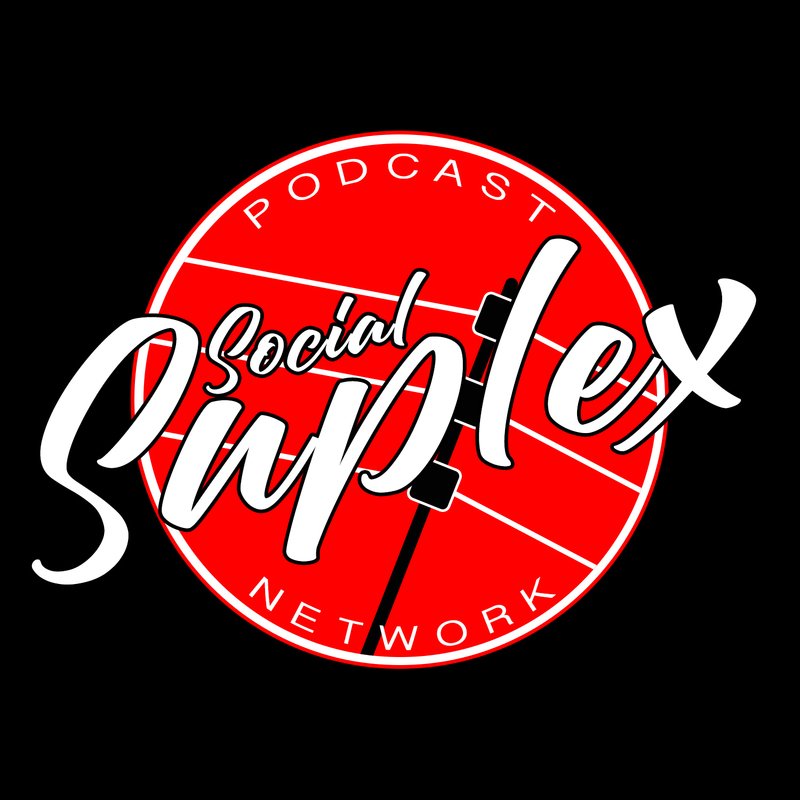 You can find me on Twitter and in Social Suplex’s Facebook group. You can read more of my columns right here. Additionally, you can hear my opinions on all things WWE in Glasgow based podcast, “The Ricky & Clive Wrestling Show”, one of the shows that make up the ever growing Social Suplex Podcast Network.